Dude and Arnette came recommended as the country’s top specialists on cowl restoration. 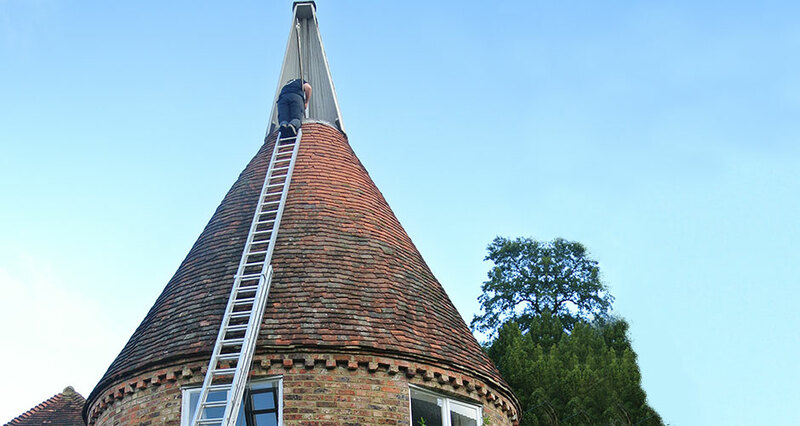 Because of our oast’s difficult access Darren and his team had to use the traditional way of block and tackle to remove our cowl, and what a great job they did with it. It was delivered back to us a few weeks later like new. It was a pleasure to know that three generations were restoring our cowl and are keeping the tradition alive.